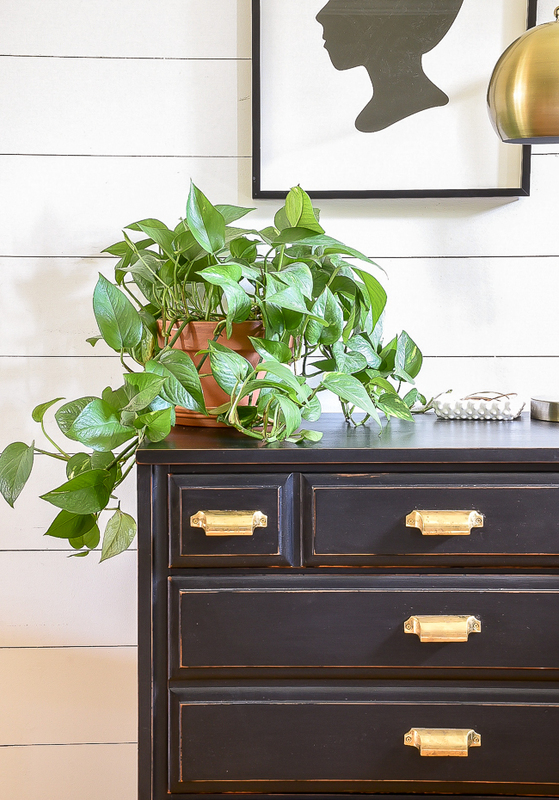 A dated and versatile little dresser gets a makeover with black paint and gorgeous brass bin pulls. 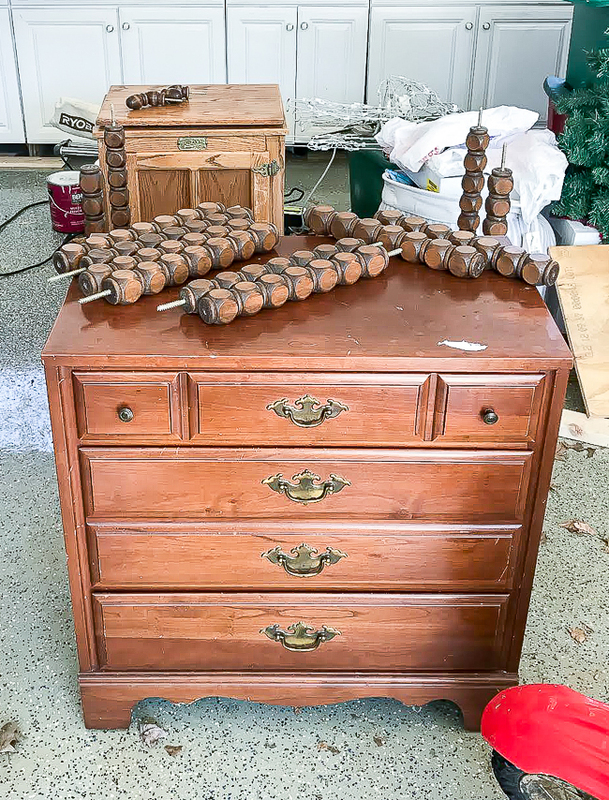 Many months ago I came across a small little dresser at Goodwill. 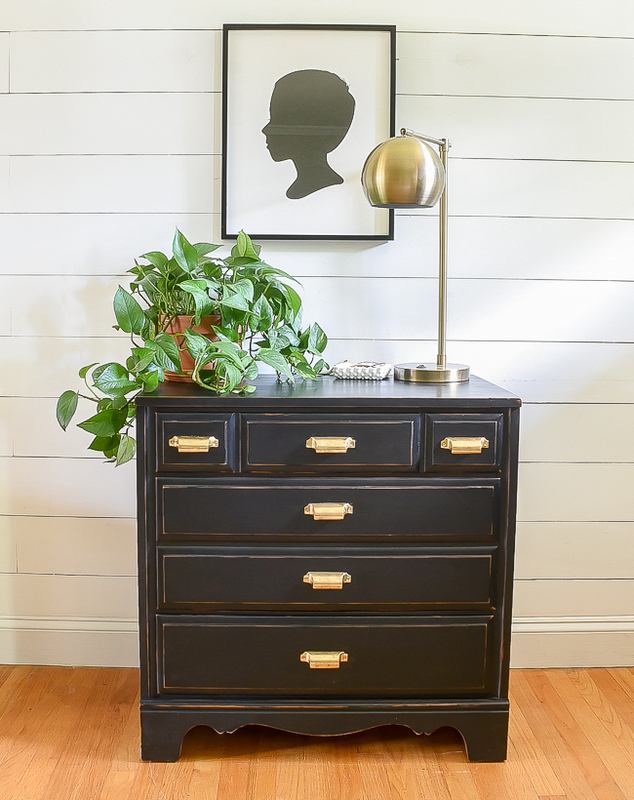 It had good bones, dovetail drawers and its petite size made it a perfect versatile piece. 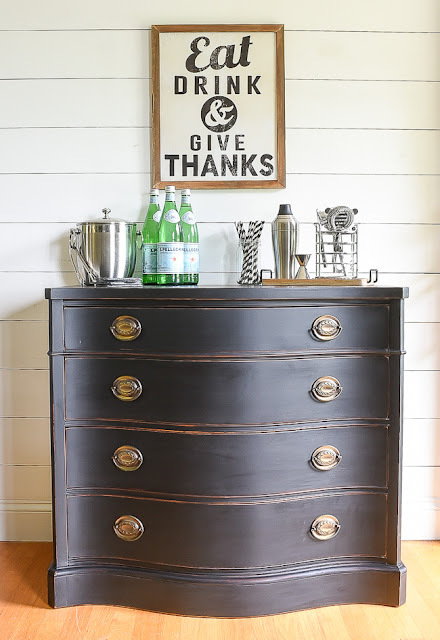 Not only would it be great as a dresser, but it would also work well as a nightstand, entry table or even at the end of a hallway. 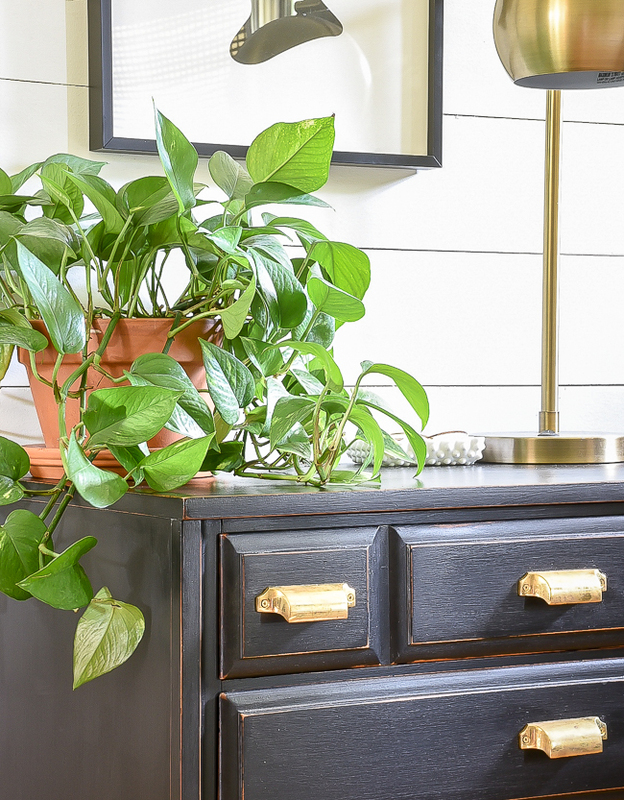 It was the perfect little piece to update with black paint and new brass bin pulls for a quick and easy makeover. 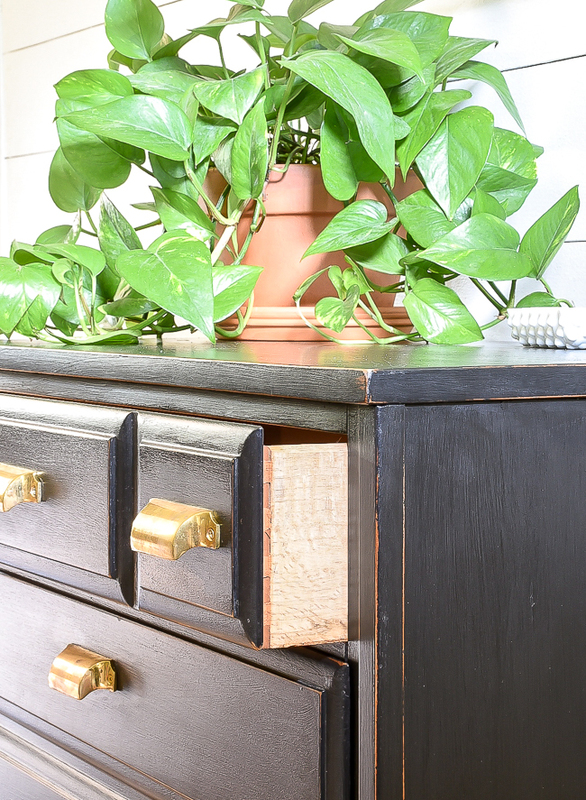 I worked on this little dresser while doing other projects and totally forgot to take pictures, whoops. I did, however, remember to snap a quick "before" picture with my iPhone before getting started. 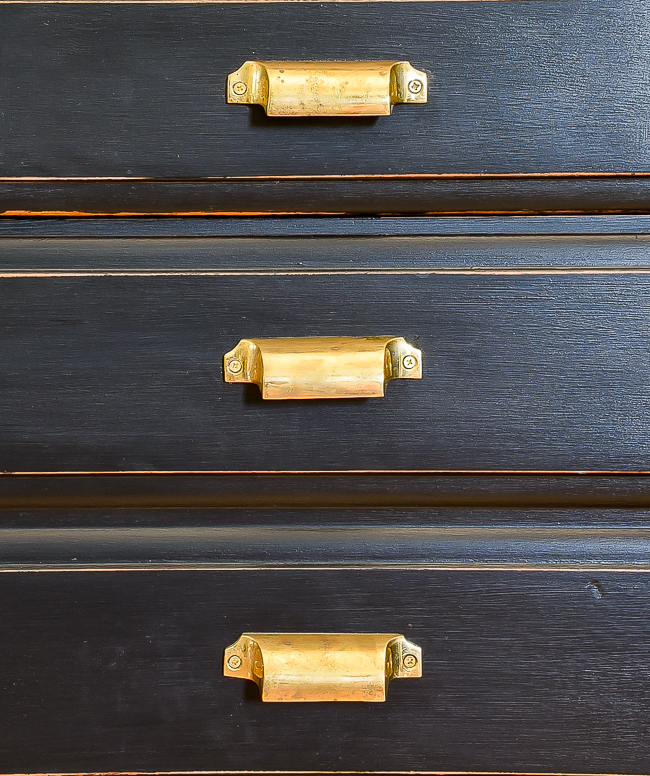 The dresser was actually in really good shape, but the color and 80's brass hardware were a bit dated for my taste. 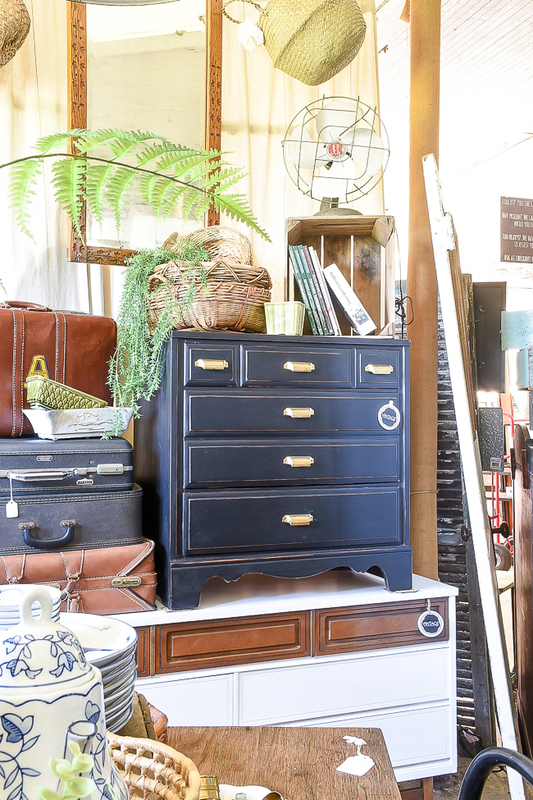 Read more about where to buy affordable used furniture and what to look for HERE. I kept the makeover super simple with new paint and hardware. I started by removing and filling the original hardware holes with my favorite wood filler. I've tried many different wood fillers in the past, but THIS one is by far the best. Once the wood filler was dry, I gave the dresser a light sanding with 100 grit sandpaper, applied two coats of black paint then distressed it by hand before sealing it with clear poly. 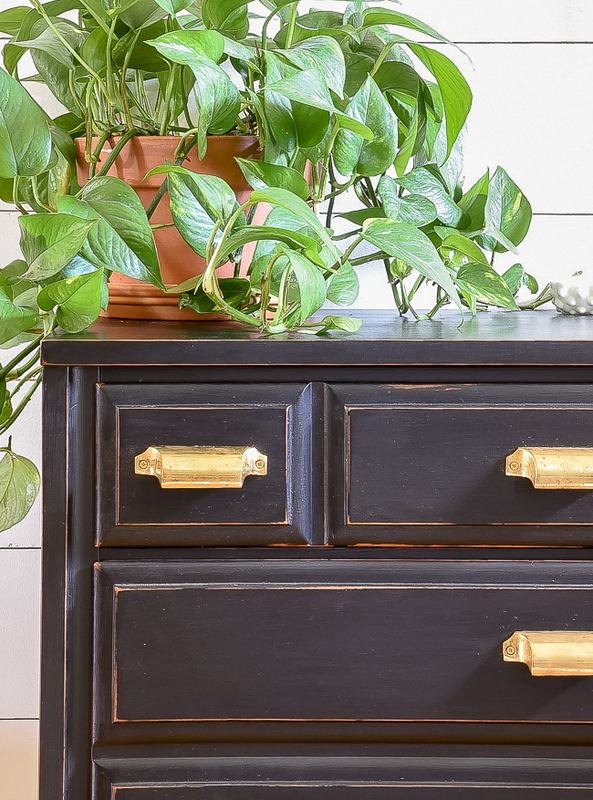 The new brass bin pulls from House of Antique Hardware are definitely what make the dresser. I ordered the unlacquered pulls and was a little worried about their shiny appearance, but they ended up "aging" beautifully after sitting in the garage a few weeks. This little petite dresser has already been moved to the barn and is ready for the July sale! 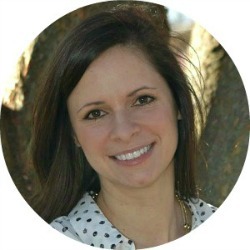 I love makeovers that turn out great with minimal effort and this was definitely one of those projects! 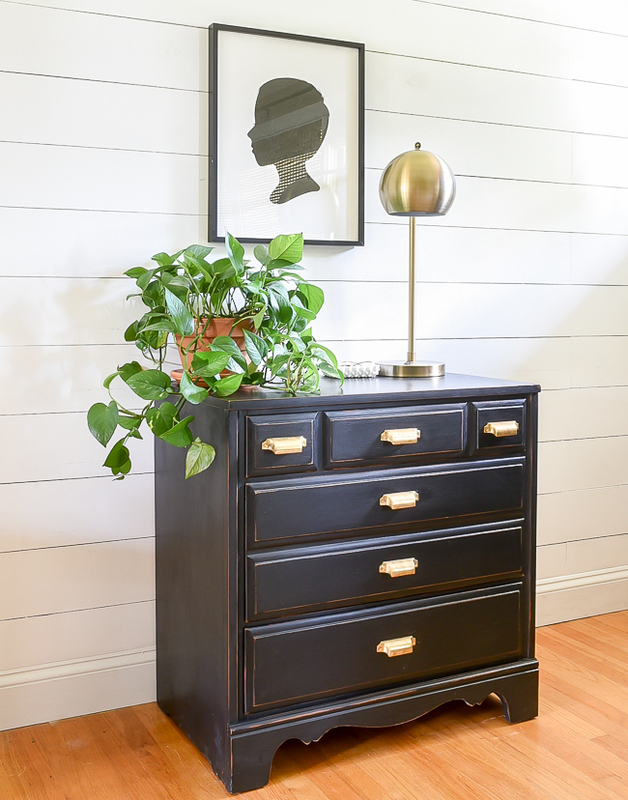 Your perfect little black dresser is PERFECT! I wasn’t expecting that at all. I love love love the new hardware, the color and the whole new look! It’s very hard to take these type of dressers to a new level but you have done that beautifully! Thank you so much! The hardware is definetely what makes this piece stand out! I forgot to ask but in the first picture of the unfinished dresser... those wood posts on top of the dresser...did you do something with those? No, I haven't figured out what I'm going to do with them yet. They came off a bookcase and I'm still waiting for the right idea to strike. i always pass dressers like that up but your vision was perfect! 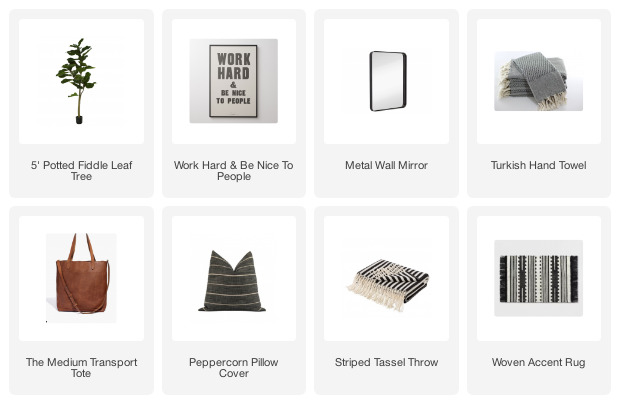 i am going to rethink all those dressers now! Thanks, Cassie! They aren't normally the type of dresser I gravitate towards either, but I knew new hardware would totally change this dated piece. Thank you! I simply used a piece of 100 grit sandpaper and lightly rubbed it on the edges to give it a naturally distressed look as opposed to distressing it with a sander. I hope that helps! Fat Paint is not available in my area. What can I substitute? Love your work. 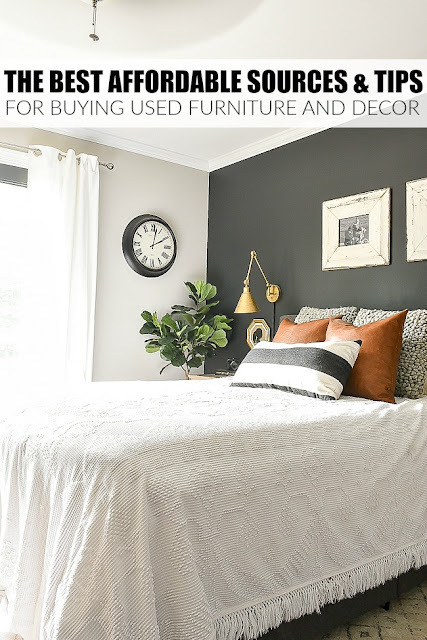 Minwax Lamp Black milk paint is one of my favorites (it can be bought on Amazon), but any black chalk style paint or or milk paint would work. Oh wow - that is just beautiful! I love the hardware. And I'm with McGypsy9 on this - not what I was expecting, nice job! !